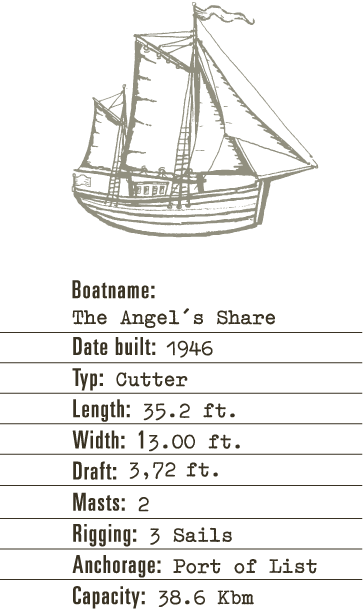 With its liquid cargo, the cutter “The Angel’s Share” is gently rocking in the swell at the pier in the Port of List. 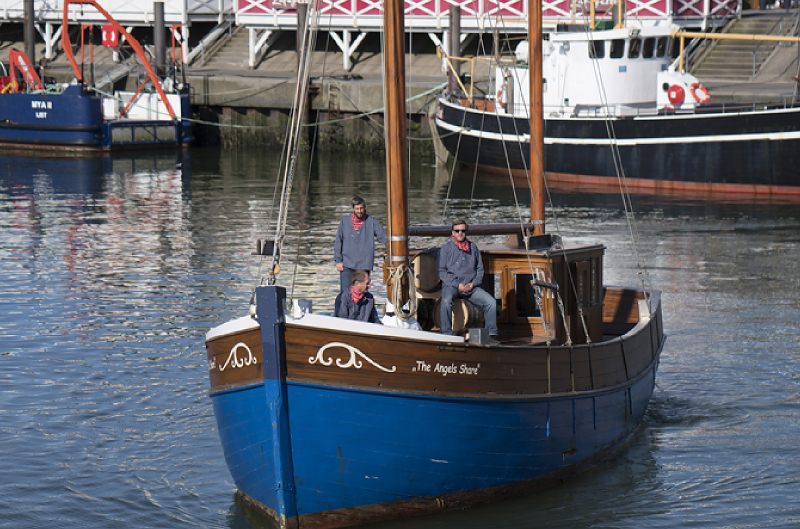 It has a long tradition: During the Middle Ages it was an important waypoint on the trade route between Denmark and England. In more recent times, fisherman disembarked their catches here and in 1963, a ferry service to the Danish neighboring island of Rømø was established. Nowadays, mostly recreational skippers anchor at the port in List, with the rescue cruiser “Pidder Lüng” watching over them at the entry of the port. Several gastronomical business are located right at the forecourt of the port, which is a popular place for Sylt guests and in view of our whiskey cutter. One of those businesses is the well-known “Fishing Pope” Jürgen Gosch.